In just over an hour you will be transported from the hustle and bustle of the busy Mediterranean city of Barcelona, to one of the most breathtakingly beautiful stretches of coastline in the whole of Europe - the Costa Brava. 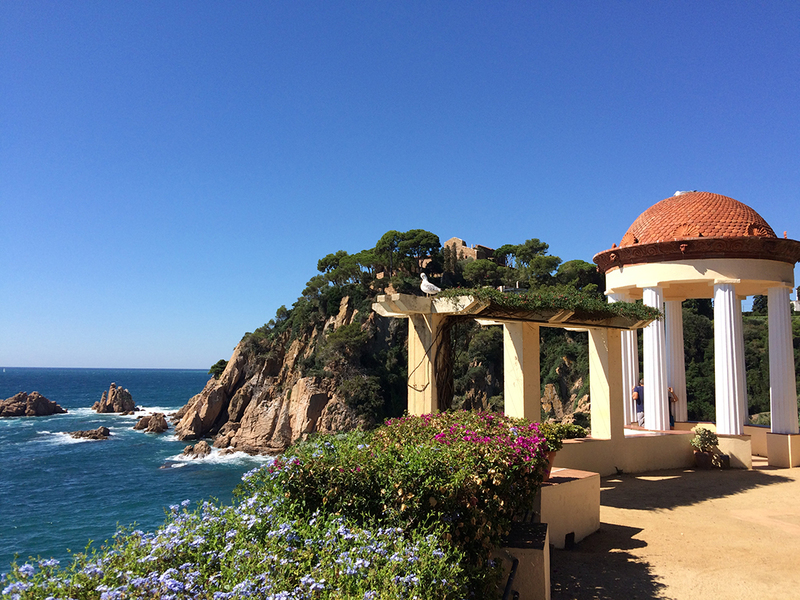 Your one hour drive will take you north up the coastal highway to our first destination, Blanes - the Gateway to the Costa Brava. We will drive straight to one of the few remaining coves on the coast that have avoided the crowds of tourists and big commercial developments and are known only to locals. Our early morning departure from Barcelona means you'll have the beach to yourself, and you'll be able to enjoy a secluded swim in the crystal clear waters. If the water doesn't tempt you to take a swim, you can still enjoy the coast up close with a couple of small walks along the rocky shoreline. You now have the option to stay on the beach for the next two hours, or leave the sand for another day and come with us to the famous botanical gardens. With a little bit of effort, you'll even find time to do both. The botanical gardens are home to a wide variety of exotic plants, but it is the amazing views from high up on the cliffs that makes this stop an absolute must. The turquoise blue waters of the Mediterranean Sea stretch out endlessly into the distance, while far beneath you the waves crash in an explosion of white against the wild coastline. After leaving the beach and gardens we will continue up to the old castle ruins for another amazing view of the coast. You'll not want to leave the clifftops, but a typical Mediterranean lunch is waiting for you in a local restaurant. Your feast will start with a selection of traditional local dishes and a glass of Sangria, followed by a choice of main courses. All the dishes in this family owned restaurant are lovingly handmade and they have built a deserved reputation as one of the best kept secrets in town. After lunch, we will take a short drive to Tossa de Mar, home to the last remaining preserved fortified town on the Costa Brava Coast. Your afternoon starts with a slow walk up to the lighthouse along cobbled streets, with the ever present backdrop of the Costa Brava coastline completing your view. From the lighthouse on top of the hill, you can enjoy spectacular views up and down the coast, as well as out across the medieval town and beyond the walls to the town beyond. From the highest point of the town, you'll wander back down through the old town before dropping into a maze of narrow streets lined with traditional whitewashed houses and shops. There's plenty of time to browse the local souvenir shops and boutiques, or relax with a drink in one of the many quaint bars lining the streets. If you've not had enough of the water, you have one last chance to take a dip beneath this historic town, or even rent a kayak for a quick paddle under the cliffs. After a couple of hours exploring Tossa de Mar we will head back to Barcelona arriving at about 6pm.